Experience the holiday's at Macy's! Tayler staring at the Macy’s Train Window in Downtown Seattle. Happy December, friends! 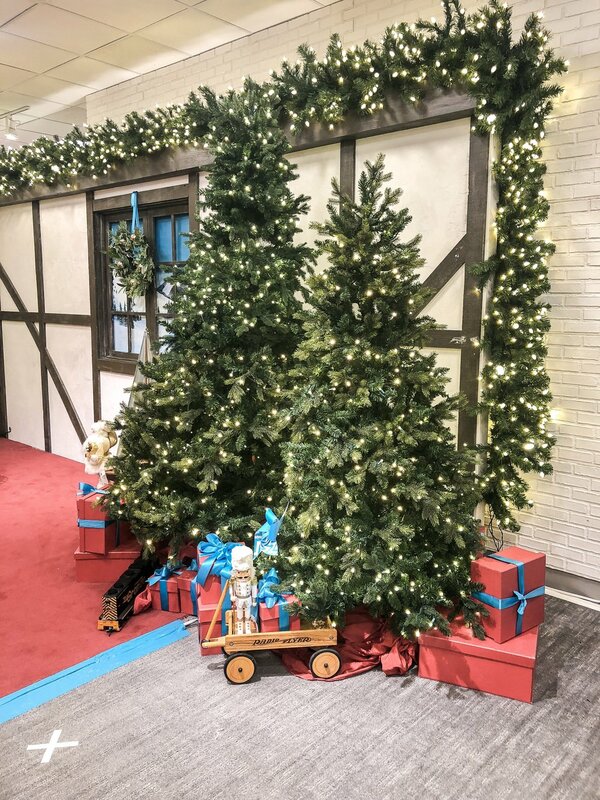 It’s the most wonderful time of the year and this week I’m sharing all the fun & festive happenings in the Seattle area, starting with the holiday experience at Macy’s downtown Seattle. Last week, we took Tayler to see the Train Window at Macy’s on 4th and Olive. It’s such a fun thing to do with the littles. It’s all set up with twinkle lights and they can even operate the train just by putting their hand on the window. So sweet to see their faces light up with excitement! Macy’s Train Window has become a multi-generational holiday tradition in Seattle for 72 years now and something we can’t wait to do every year! The Macy’s train window located at 4th and Olive in downtown Seattle. Afterwards, we went to take pictures with Santa at the Macy’s Santa Land located at the downtown Seattle location on the 2nd floor. Right next to Santa there is Holiday Lane which houses all the Christmas decorations! I promised Tayler an ornament for her tree and she had so much fun picking one out because they had an amazing selection! I was a little nervous about how she would react with Santa because a few days prior she acted like she wanted to see him but then freaked out the minute we got close. This Santa was amazing! He was very calming and offered to have Tayler sit on his lap so he could read her a book. This totally put her at ease and although we couldn’t get her to smile for the pictures, at least she wasn’t screaming and crying like last year, LOL. I highly recommend this location for Santa pictures if you’re looking for pictures for your little ones. And, as an added bonus: there was no line! This was a huge selling point for us, because who wants to wait in line for an hour, especially with a busy toddler! Santa Land at Macy’s in downtown Seattle. Thank you for having us, Macy’s Seattle! If you aren’t in the Seattle area, make sure to check out your local Macy’s for details on their holiday activities!